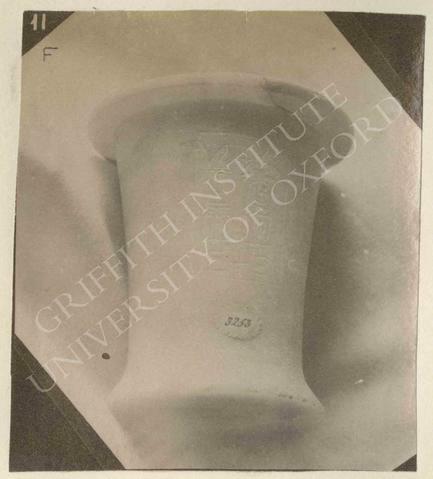 Vase of Unis, calcite, Dyn. V, provenance not known, now in Florence, Museo Archeologico, 3253. Caption copied by Černý in Petrie MSS 3.2: 'Alabaster vase of [Wnjs]. F.'.